The doctors and staff at Hudson Valley Health Group are committed to servicing our patients with comprehensive wellness care and disease management in the most experienced, caring and professional manner. We maintain the latest technology systems and equipment that enable our physicians and practitioners to provide the most accurate and efficient diagnoses possible. We use the most sophisticated electronic medical records (EMR) so that patient care is of the highest level. EMR ensures that we have a quick access to all relevant patient information. Our physicians, management and staff are dedicated to creating an environment where patients feel welcome and confident that your health and well-being are our priority. We provide referral services that include assisting our patients with Specialist/Facility searches and making appointments. Our front desk Patient Care Coordinators are known to be the friendliest and most helpful in the Hudson Valley area. We accept most insurances and try our best to work with patients with limited or no coverage. 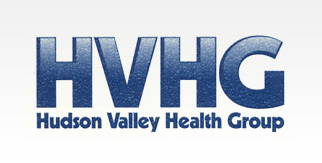 To learn more about HVHG, please call 845-565-9800 today to schedule a consultation or try our online contact form.